Exxon and Chevron posted sharp earnings gains and the strongest cash flows since days of $100 crude. Texas drilling is rising and areas like Guyana are booming. But price rises may not last and investors are demanding greater returns. It’s not a time for spendthrifts. 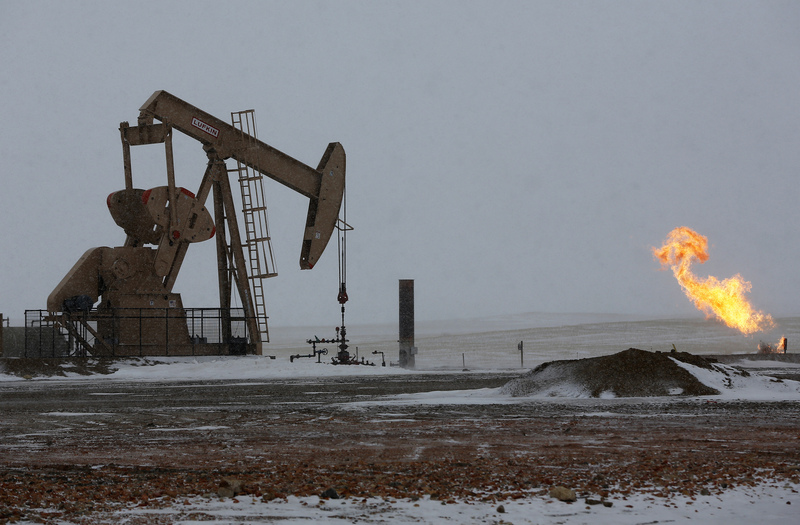 Natural gas flares are seen at an oil pump site outside of Williston, North Dakota March 11, 2013. Exxon Mobil earned $6.2 billion or $1.46 a share in the third quarter this year, up 57 percent from the same quarter last year, the company said on Nov. 2, as higher oil prices helped boost the company’s profit margins. Revenue grew by 25 percent to $76.6 billion. Analysts’ mean earnings forecast was $1.23 a share, according to I/B/E/S data from Refinitiv. Oil-equivalent production was 3.8 million barrels per day, down 2 percent from the third quarter of 2017. Excluding divestments and other inconsistent items, oil-equivalent production increased 6 percent because of growth in North America. The company’s cash flow from operating activities rose 48 percent to $11.1 billion, the highest since the third quarter of 2014. The same day Chevron reported earnings of $4 billion or $2.11 a share in the third quarter, more than double the level of a year earlier. Oil-equivalent production was 2.96 million barrels per day, 9 percent higher than a year earlier. Quarterly cash flow from operations was $9.6 billion, the highest in nearly five years.